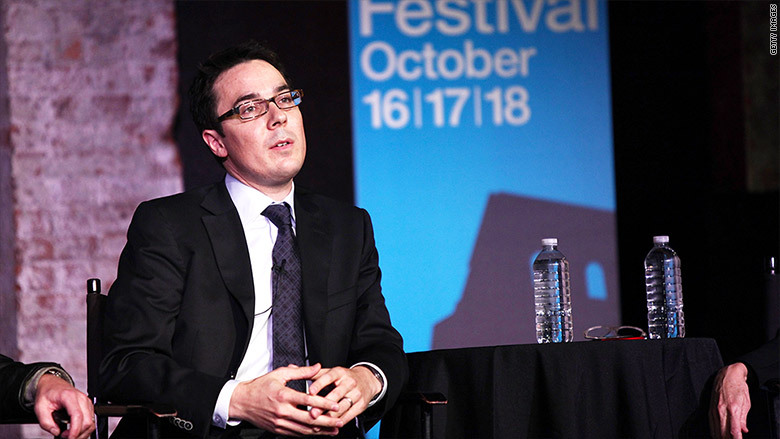 The New Yorker has parted ways with its Washington correspondent, Ryan Lizza, following a review of what it called "improper sexual conduct." "The New Yorker recently learned that Ryan Lizza engaged in what we believe was improper sexual conduct," the magazine said in a statement Monday afternoon. "We have reviewed the matter and, as a result, have severed ties with Lizza. Due to a request for privacy, we are not commenting further." Lizza, who had served as the New Yorker's Washington correspondent for the past decade, is also a CNN contributor. A CNN spokesperson said the network had just learned of the New Yorker's decision. "Ryan Lizza will not appear on CNN while we look into this matter," the spokesperson said. Georgetown University, where Lizza served as an adjunct lecturer, said it too had just learned of the New Yorker's actions. A spokesperson for the university said that the fall semester has ended, and that Lizza "will not be teaching any classes next semester." In his own statement on Monday, Lizza insisted he had done nothing untoward and said the New Yorker had erred in its decision. "I am dismayed that The New Yorker has decided to characterize a respectful relationship with a woman I dated as somehow inappropriate," Lizza said. "The New Yorker was unable to cite any company policy that was violated. I am sorry to my friends, workplace colleagues, and loved ones for any embarrassment this episode may cause. I love The New Yorker, my home for the last decade, and I have the highest regard for the people who work there. But this decision, which was made hastily and without a full investigation of the relevant facts, was a terrible mistake." That defiant response prompted another statement, this time from Wigdor LLP, a law firm representing Lizza's accuser. The firm, which has brought a number of sexual harassment and racial discrimination lawsuits against Fox News, disputed Lizza's assertions. "Although she desires to remain confidential and requests that her privacy be respected, in no way did Mr. Lizza's misconduct constitute a 'respectful relationship' as he has now tried to characterize it," Wigdor's statement said. "Our client reported Mr. Lizza's actions to ensure that he would be held accountable and in the hope that by coming forward she would help other potential victims." The news represents the latest round of allegations related to sexual conduct against a powerful man in media. And it may mark the downfall to one of Washington's most visible political reporters. It was Lizza who, earlier this year, reported on the profane tirade from Anthony Scaramucci that marked the beginning of the end of Scaramucci's brief time in the White House.